1 Blemished Available: $359.96 This item is available as a Blem/Refurb. These are items that cannot be sold as "New" merchandise and are limited to stock on hand. See the product details for a description of the product's condition. The latest iteration in the Torque series, the Dainese Torque D1 In Boots combine several generations of organic and sculptural shape with a more refined and dynamic fit that offers one of the most comfortable and secure boots on the market. Along with unsurpassed comfort, the Torque D1 Boots have a completely redesigned D-Axial system that is centered around strengthening torsion control and increasing airflow into and around the boot. Updated shock absorbing material around the ankle and shin is thinner than previous versions, reducing bulk and weight yet providing higher levels of shock absorption. The geniuses at Dainese have not only made the Torque D1 In Boots safer, but have also designed them to help increase lean angle at the track. When off the bike, the reinforced shift pad has been given an integrated flex zone to increase mobility. Subtle changes like the type of internal foam and the addition of magnesium sliders have allowed the Torque D1 to come in at 40g lighter than the older RS, keeping you light on your feet and more maneuverable in the saddle. They are rocking on street and track! Great craftsmanship and quality by Dianese. I wear a size US 8.5 / EU 41 and the boots fit true to size. I do not have wide feet so I cannot speak on that. I was looking for a boot with a somewhat narrow toe height because my previous Icon boots were bulky and had issues fitting comfortably between the pegs on my SFV650. Yes, I know the pegs are adjustable, but I needed an excuse to upgrade anyway. Great protection and comfort just a tad pricey. You can decide whether your feet are worth the money. Also, I didn't expect it to but the velcro sections have helped tame my jeans from flapping while riding so it can also be beneficial to people who do not want to spend the money on Dainese pants. I wear a size 9.5 wide C/D and purchased a size 10 (43 EU). They conform to my feet perfectly without any room to spare. If you wear a Wide E then it might be a too snug or not fit at all. Also, I have large calves. I had to return a pair of SIDI boots because the zipper in the back could only come up half way. These boots have stretch panels, but they still have a similar problem. The zipper stops about an inch short from the top and the stretch panels have pretty much reached capacity. I decided to keep the boots because no brands will fit me too well. Since this is an "in" boot that goes inside my track pants, the zipper is not a problem as my track pants fully cover that area. The zipper does not move/unzip as I move around, so no worries there. I have the Delta Pro EVO C2 pants to mate with these boots. The Velcro on the front and side keeps the pants from sliding up/down. The aforementioned zipper is well covered. The pants have no problem fitting over these boots even with my large calves. The protection around the heals, ankles, and in the front are solid. The rear area above the ankle is a hard and flexible plastic/rubber material. Still protective, but not like an outer boot. The bulky plastic is sacrificed for slimmer material in order to fit under the pants, so that is to be expected. 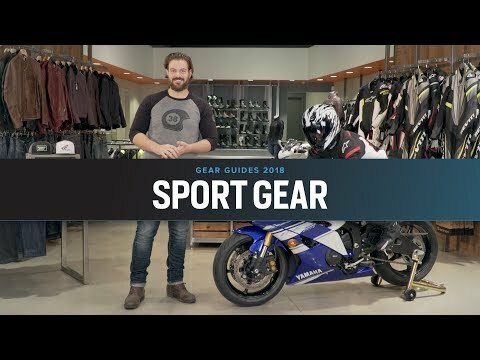 Does this boot fit under leather suits and pants that weren't specifically designed for these "in" boots (as in, one-piece leather suits not made by Dainese)? 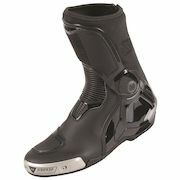 BEST ANSWER: as far as I know, it only fits Dainese suits made to work with this boot. the cut by the ankle has to be just big enough to accompany the extra space made by the boot. they definitely don't go inside my Alpinestars track pants, so I just wear the boots over them. still really good boots, though. the protection up the side really sold it for me. I haven't tried them with leathers yet. I can't tell you they fit nicely under bluejeans. Can this be worn as an over or out boot over a leather tracksuit leg? I don’t care much for the under feature, I just like the slimmer and more toned down look of the boot and actually wouldn’t mind wearing it as a regular over boot, just wanted to make sure the design allows this before purchasing. Thanks in advance! Boot is too tight to wear as out boot. BEST ANSWER: No. They don't let water in easy however they are not waterproof. I want to wear the Dainese Charger motorcycle jeans over these boots. Is there enough room in the pant leg at the bottom? BEST ANSWER: I'm not aware of how slim the Dainese Charger jeans legs are however I can wear the Torque-in boots under regular Lev jeans with a slim to straight cut leg no problem... 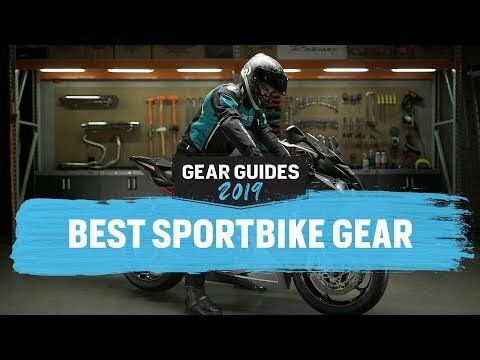 I would expect they would be fine with the Dainese Charger jeans. Are these the only option for leather and textile pants that already have knee/shin guards built in? I have the Dainese Pony and Air Drakes which have integrated shin guards...looking for a boot that I can wear with these pants. How much do they weigh individually and combined?